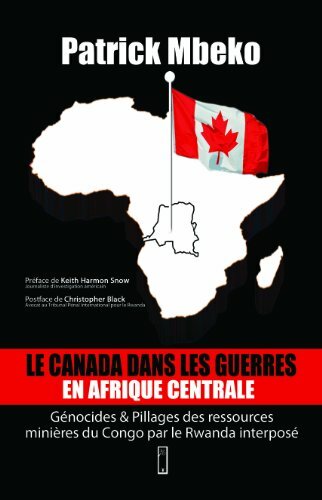 He is the author of two authoritative books “Le Canada dans les guerres en Afrique Centrale” and “Le Canada et le pouvoir Tutsi du Rwanda.” In his writings, Canadian of Congolese origin Patrick Mbeko explains and describes facts and events that contradict the official and widespread narrative of what happened in Rwanda in 1994 and never ending wars and humanitarian tragedies that ensued in the Democratic Republic of Congo. Patrice Lumumba noted in his time that Africa would write its own history, which would be different from the views of Washington, London, Paris or Brussels [or those serving interests of these capitals]. Mbeko appears to be in that line of thoughts by telling the reality as experienced by people of the Great Lakes region from their own perspective. Mbeko lists in the following paragraphs enough evidence to show that what occurred in Rwanda in April 1994 was something else that a genocide. As we know, Kigali propaganda and Kagame’s supporters have spread a fabricated sequence of events and a painted picture for more than twenty years to justify the Rwandan Patriotic Front’s clinging onto power, Hutu oppression and territory occupation accompanied with exploitation of the mineral resources of the Democratic Republic of Congo. Genocide cannot exist without planning with a purpose of slaughtering people for religious, racial , ethnic, etc… reasons. Or in the case of Rwanda, Paul Kagame, a Tutsi, sacrificed other Tutsis. “It would not be seen as genocide of Tutsis by Hutus, but a secret war by the United States that killed at the same time Hutus and Tutsis.” Cynthia McKinney, Congresswoman and special envoy of Bill Clinton in Central Africa. “Having been directly involved in the events of April 1994, I was at the time UNAMIR Commander of the Kigali sector I confirm that the fate of Tutsis within has never been a concern for RPF official. On the contrary, it served as an excuse for other purposes the imagination, in fact, has difficulties to conceive.” Colonel Luc Marchal, UNAMIR officer (UN Mission in Rwanda) . “The Rwandan deaths can be attributed to Paul Kagame, the military genius who did not accelerate his campaign when the scale of the genocide was evident and, on some occasions, even kept me candidly in confidence about the price that his compatriot Tutsi may have to pay for the cause. […] When I asked Kagame to go directly to Kigali to stop the massacres of Tutsis , he told me that if there was a price to pay, it would be those Tutsis to pay it!» General Roméo Dallaire (UNAMIR Chief Commander). “Whatever the strategic hypothesis that prevailed, lets note today that the official version of Rwandan history confirmed since the end of the war by the winning side hides an essential element to the understanding of events: the rebel movement consisting of Tutsi from the diaspora did not start war nor conduct it to “save Tutsis,” it seized power by force in Kigali at the cost of lives of its compatriots,” Professor André Guichaoua Rwanda specialist. “Kagame only aspired to be the strong man of Rwanda, the blood of Tutsis and moderate Hutus had no importance in his eyes, ” Jean -Pierre Mugabe, intelligence officer in Kagame’s RPF. “Kagame and his inner circle, military tacticians above all, are not among those who are reluctant to sacrifice civilians, including Tutsi, if such should be the price to pay to achieve their objectives,” Colette Braeckman, Belgian journalist pro-Kagame. “Representatives of Human Rights Watch and FIDH who were receiving frequent phone calls from hiding Tutsi in Rwanda and were asking for help, were shocked by the RPF opposition to sending a new UN force and begged him to reconsider his position. […] RPF continued until the end of May to demand that the UN peacekeeping mission be strictly limited to humanitarian assistance tasks, instead of undertaking more engaging operations to protect Tutsi,” Report of Human Rights Watch ( HRW) and the FIDH. “Several murders of Tutsi survivors were recorded in May and June 1996 after the forced departure of UN troops of UNAMIR II. When Kagame wants to attack [meaning kill or imprison] Hutus wrongly or rightly seen as political opponents , some Tutsis are murdered in their areas of origin to justify reprisals and arbitrary arrests and sometimes massive killings against innocent Hutus,” Report of the Centre against impunity and injustice in Rwanda (CLIIR). “[…] Paul Kagame is not the hero that some embassies would like him to be. He is one of the main responsible for the death of millions of Rwandans, Tutsi, Hutu, Twa , and Congolese citizens since the beginning of the RPF war in 1990,” Jean Marie Vianney Ndagijimana , Minister of Foreign Affairs in the first RPF government. Tutsi extremists in power in Kigali are undoubtedly at the centre of the Rwandan tragedy and cannot, under the pretext that they are Tutsi , pretend to play the victim or become their spokesperson. Those who call genocide what happened in Rwanda go as far as assimilating it to the Holocaust. 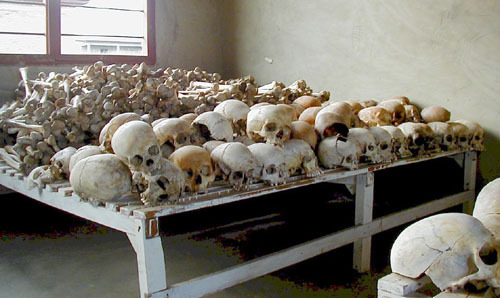 But as journalist Bill Berkeley points out in his book – [The Graves Are Not Yet Full,] “there had been no Jewish tyranny in Germany, as there were Tutsi feudal tyrannies in Rwanda and Burundi, and there had been no Jewish-perpetrated genocides in, say, Austria, as there were Tutsi-perpetrated genocides against Hutus no fewer than three times in a generation in Burundi.” The journalist could’ve rightly added as well the Congolese genocide which has already taken more than six million of lives. Understandably, more and more journalists like Alex Kane are waking up to the evidence and denouncing the unconditional supporters of Paul Kagame such as Rabbi Shmuley Boteach who are afraid of discussing facts. The translation from French to English of Patrick Mbeko text is mine. He initially published the note on his facebook pages with this French title Paul Kagame et la stratégie du sacrifice utile… that I changed to reflect how I interpreted its content.